Donate Now to Help Mobilize the Pro-Choice Vote! Now that you’ve experienced the evocative power of my short film, “The Choice,” I’m asking you to donate today, so that I can reach as many potential voters as possible. Your gift now will help me complete critical digital marketing before the midterms! The Kavanaugh fight is over; what difference can pro-choice voters make in November? Fun fact: If the Supreme Court overturns Roe v. Wade, it will mean that EACH STATE will be left to decide how much it will defend a woman’s right to choose. We don’t vote for members of the Supreme Court, but we do vote for the people who represent us in our state legislatures and in Congress. If we oust anti-choice legislators, it’s possible to institutionalize the rights under Roe v. Wade, STATE BY STATE. As of 2017, 29 states have adopted enough abortion restrictions to be considered either hostile (6 states) or extremely hostile (23 states) to abortion rights, according to the Guttmacher Institute. That means that 58 percent of American women of reproductive age live in a state considered either hostile or extremely hostile to abortion rights. “The Choice,” is an important tool in helping to erase the stigma surrounding abortion care. It humanizes a choice that one in four women will make in a lifetime. With your donation, more people will see this important video, helping to change the conversation around a medical procedure shrouded in myth and shame. 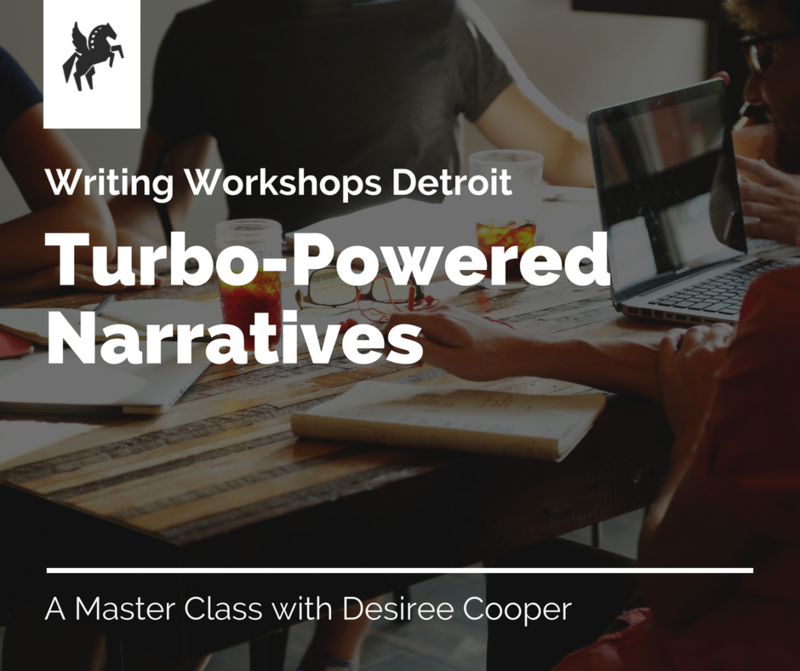 The Writing Life: Take my class and turbo-charge your writing! 2. You have no idea if your work resonates with readers unless you ask them. 3. You need to learn how to take critique—not from naysayers who want to tear you down, but from those who will help you think deeper and reach higher. 4. You will be unable to kill your darlings on your own. You need accomplices. 5. You’ll quit if you’re only accountable to yourself. Get a writing buddy or a writing group to help you stay on schedule and produce! That’s why I’ve teamed up with Writing Workshops Detroit to offer you an instant writing community! Come join like-minded writers of all genres and all levels to talk about the role that narrative plays in your work. We’ll experiment. We will break it down and build it up. We’ll dissect and fiddle. We’ll have fun. Here’s how we can meet up—take my class!!! Class Description: Good writing shares a common element regardless of genre: powerful storytelling. This three-hour class will explore the critical elements of storytelling, and look at examples of story arc in poetry, fairytales, micro fiction and even jokes! Participants will learn how to deploy language to take readers on a journey, whether writing poetry, essays or short stories. The class will be generative and experimental, no need to bring previous work. Perfect for those who are stuck in their writing and looking for new inspiration, or for new writers who don’t know how to get started. (Skip this part if you already know about me): Desiree Cooper is a 2015 Kresge Artist Fellow, former attorney and Pulitzer Prize-nominated journalist. Her debut collection of flash fiction, Know the Mother (Wayne State University Press, 2016), is a 2017 Michigan Notable Book that has won numerous awards, including the 2017 Next Generation Indie Book Award. Cooper’s fiction, poetry and essays have appeared in The Best Small Fictions 2018, Michigan Quarterly Review, Callaloo, Hypertext Review, Best African American Fiction 2010 and This is the Place, among other online and print publications. Cooper was a founding board member of Cave Canem, a national residency for emerging black poets. She is currently a Kimbilio Fellow, a national residency for African American fiction writers. A version of this blog first appeared in BLAC Magazine. In August, I lost two stars in my universe. I shared one star with the rest of the world: Detroit's queen, Aretha Franklin. But I couldn't bear to watch the spectacle of her day-long funeral on Aug. 31, because another star in my sky, my 96-year-old aunt, died just three days before. The women had very little in common except they both exemplified the word "diva." But in the end, they also shared something that seems to plague the broader black community – an inability to plan for their own mortality. We know that Franklin, whose death was far from sudden, died without a will. Her $80 million estate is now wending its way through court. My aunt wasn't worth millions, but she, too, watched death coming and did little to prepare. Despite friends and family begging her for years to get her papers together, to move into safer housing (she died only two weeks after finally moving into assisted living), and to let someone help with her finances, she refused until it was nearly too late. It's an old story in the black community: Folks aging with no plan for their care, even as they become increasingly unable to provide for themselves. Folks failing to pass on property to their loved ones, opting instead to let their modest assets get eaten away by lawyers in probate court. Folks arguing that "you can't take it with you," without understanding that's exactly why you should give it to someone else. Guess why African-Americans make up only a fraction of the wealthy one percent? It's because every generation in the black community must start from scratch financially. For us, intergenerational wealth, the most important determinant of long-term financial stability, is almost non-existent. Last year, the Federal Reserve Bank published a study about race and wealth. The result was as predictable as it was sad. "White families stand out as the most likely to have received an inheritance or other major gift – 26 percent of white families have received an inheritance, compared with less than 10 percent of black families and Hispanic families," said the report. "Most white households (71 percent) report being able to get $3,000 from family or friends in a financial emergency, compared with less than half of Hispanic and black households (49 percent and 43 percent, respectively)." But social class doesn't account for the lack of estate planning in our community. Ask Prince. Or Barry White. Or James Brown, Bob Marley, or, yes, even Dr. Martin Luther King Jr. They all died without a will. Perhaps it comes down to a toxic mixture of fear of death and financial illiteracy. Granted, the barriers to attaining that literacy can be substantial. Aside from not having access to lawyers or financial planners, we have no tradition of building and passing on wealth. If your parents refused to talk to you about their financial situation, about their care in old age, about their assets and their dying wishes, how likely are you to know what to do when it's your time to plan for death? That's why I recently tried to talk to my son openly about this issue. "When should I make a will?" asked the 30-year-old, who is married and doesn't yet have children. "It's never too early to start thinking," I told him. "But especially when you guys buy a home and start a family, you should get something down in writing." He considered my advice quietly. "Do you have a will?" Gulp. Well, kind of. You see, what had happened was … "Um, yeah, but I haven't updated it in 25 years," I admitted, red-faced. Guess what I'm doing this week?